Californian power plant was forced to go offline due to the absence of a $500 printed circuit board (PCB). The reason: their inventory was exhausted, and the original manufacturer of that PCB was no longer operational. While the downtime was costing dearly, procuring the PCB to overcome the challenge seemed impossible. 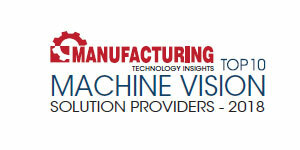 Enter ScanCAD International, a machine vision veteran with expertise in reverse engineering. ScanCAD recreated the data needed to rebuild the PCB, making it possible for the power plant to resume operations. This power plant is among the many other organizations—including aerospace and defense agencies—that have benefitted from ScanCAD, a 28-year-old global provider of optical inspection, measurement and legacy re-engineering systems and services. Similarly, a luxury auto manufacturer took a large financial hit when recalling thousands of cars due to a single missing hole the size of a pinhead, one of 1,400 holes used for printing solder, in a $120 piecing of tooling. Such simple error can be routinely eliminated when using ScanCAD systems. ScanCAD has proven to be a game changer using low-cost optical systems to replace conventional manual inspection and measurement tools such as coordinate-measuring machine, optical comparators, gauge pins/blocks, calipers and microscopes. This inspection and measurement functionality is complimented by there-engineering capability making it possible to measure and inspect a part for errors—all on the same system. As the company name implies, Scan +CAD, mixing scanning and computer-aided-design. “Today’s assemblies can no longer be manufactured with yesterday’s tools, likewise, yesterday’s legacy products can’t be built using today’s tools. We are in a new paradigm!” says William Loving, President and CEO at ScanCAD. ScanCAD introduced the concept of Virtual Product Inspection (VPI) over ten years ago which makes it possible to physically scan each subcomponent of an assembly before production to confirm all will come together smoothly with no surprises. Using VPI, the imaged parts can be assembled virtually and checked for accuracy before starting actual production, saving time and resources. Errors are flagged permitting corrections to be made before value is added. In a sense, these are zero cost virtual problems because they were caught before they became expensive real problems. Headquartered in Colorado, ScanCAD services customers in over 49 countries across the globe, providing in-house and on-site training and support. Additionally, the intuitive products contain built-in training videos and context sensitive help to train new employees. The inspection, measurement and reverse engineering software can easily import images from existing imaging platforms such as SEM, X-Ray and CT-Scan, providing even more financial advantages to customers. Coming from the rich history of breathing new life into legacy electronics and applying the same revolutionary image technology to inspection and measurement, Loving now aims to provide ScanCAD products at ever improving price performance thresholds, permitting these new vision-based, automated technologies to replace most traditional subjective measurement and inspection tools. “Yesterday’s manufacturing tools are no longer able to support the world’s needs. Today’s integrated solutions must be able to cross back and forth across the blurred boundary between virtual/digital and real/physical, described as digital twins. Essentially, all that is designed digitally must come into form correctly, and those legacy parts that are missing their digital twin, must be re-created virtually so they too can be brought back into perfect form, fit and function. Yes; these are the very tools that permit us to consider traveling to Mars where we will need to fabricate perfect spare parts ‘on the fly’—you just can’t take enough spare parts!” concludes Loving.